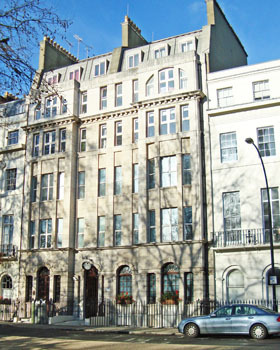 St. Luke's Hospital in Fitzroy Square provided free healthcare to the Clergy of the Anglican Communion, active and retired, stipendiary and non stipendiary, their spouses, widows/widowers and any dependent children. In addition it offered care for members of recognised monastic and conventual orders, active and retired Deaconesses, active and retired overseas missionaries and Clergy as well as Theological students and those licensed by a Bishop. The hospital closed in 2009 but St Luke's Healthcare for Clergy continues to exist. Dr Bogle is an Honorary Consultant to St Luke's Healthcare for the Clergy. if you are an eligible patient and require a cardiologist please contact the Medical Secretary at St Luke's who will be able to advise you. Please note all referrals must all be administered thought the Medical Secretary at St Luke's and direct referrals are not accepted. Once a referral has been received my secretary will contact you to arrange a mutually convenient appointment.